Every time there is an election – often well before that election – there is tons of coverage of raising money to run a campaign. I used to always wonder about that part, so I thought I’d share my observations. This post is really about three things: why political campaigns cost money, my philosophy about contributions, and what impact the contributions have on me. Let’s get started. Why do political campaigns cost money? I care very deeply about the San Diego region, and I’ve spent years leading, volunteering, working with others, and learning about the issues that impact our region. But if I can’t share that information with you as a voter, how will you ever know any of what I care about, what I stand for, or what I have done? The reality of money, in local politics anyway, is that you need it to tell voters what your values are, what you have fought for and accomplished and the type of leader you will be if elected. It costs money to print sign-in sheets and mailers (and although mailers are annoying, they do work and that’s why people use them). A better system might be if candidates received public money to campaign so that less time would be taken focused on money and more of it on issues, but even that would require someone to make a decision about who should get the money and who shouldn’t. I saw this great video on this from the local Clean Campaigns advocates. In the end, just like we demonstrate our values when we choose to shop certain places, parting with our personal money to support a person or a campaign is really a statement that we believe in a thing enough to choose to give up something else to help make that vision of our community a reality. For my race, there is a $800 cap and requirement for individuals only to donate (no corporate/organizational contributions). This is done to level the playing field and give candidates who don’t have insider ties or large backers a fighting chance. If you donate less than $100, it does not have to be reported. How I arrived at my philosophy about raising money? I thought alot about this before deciding to run for office. We have all heard people say a candidate is “in the pocket of” some group who gave them money. I always wondered about that. I went from being involved in leadership positions in my community and legal and civic organizations to being more involved as a volunteer in political campaigns several years ago. This put me in a position to talk to people who gave money to political candidates and also to the officials themselves. I also now have friends who I knew before they were politicians so I’ve had a chance to talk about these things with some of them. The result is that I have had some experiences with the different ways people in politics view giving and receiving campaign contributions. Having paid attention to this and also the way the media and many politicians seem to treat the subject, it has helped me decide how I intend to handle contributions both as a candidate and in elected office. The way I have decided to handle contributions. I have made the decision that I would communicate my values and the issues important to me and then seek contributions from almost everyone, especially the people who support those values. For example, I believe every single child and young person should have the opportunity from birth to get quality, early care and learning. This means we should have well-qualified, reasonably paid people to teach them, we should have pediatricians to help make sure parents know how to support these efforts and we should have facilities that are designed to strengthen these ideals. And these opportunities for children, youth and their families are hugely important to me. As a result, people who believe in these issues may choose to support me. It doesn’t mean I’m beholden to them or that I’m making my decisions based on their monetary contributions. This is true for homes as well. I believe we need to sustainably build more homes – alot more homes – and responsibly fix the rules that makes homes so expensive to build. As a result, people who design or build homes or support building homes will hopefully agree and support me. This is about bringing the overall cost of housing down so that more San Diegans can afford to live here. We need to encourage those in the real estate market to build market rate entry level, workforce type housing because that is the type of housing people just starting out in their careers and dual income earning families really need to thrive. Together with more subsidized affordable housing supply these things will make the San Diego region more affordable for more people. I have other priorities around improving the movement of goods through our region, making our biking network safer and our transit more efficient, paying the health care workers who care for the neediest San Diegans, especially the elderly and disabled, and having a regional economy that benefits every San Diegan across all incomes, for example. These priorities will drive the type of County Supervisor I will be if elected and these things are true regardless of who supports my campaign. What impact will the contributions have? The most important answer is that the contributions will help me communicate what my values are but they won’t decide how I vote on a given policy. I am doing this because I want to help make people’s lives better, but I’m not willing to compromise my ethics to get or keep a political office. I also believe strongly that helping voters participate early in my deliberations and the tough work of thinking through issues is a worthy and important cause. Campaign contributions will help create the infrastructure to make it easier to listen and to be involved. All I can do is stick to what I believe and be candid about why I’m doing things and then go from there. I wrote the above piece while deciding whether to run late last year. I did not know at the time all that I do now about this system. In line with my commitment to making our institutions work for all San Diegans and be more open, I’ll be sharing some hard truths about local elections and what we need to do to make them more clean and fair. Plenty of people who benefit from the current system won’t love what I have to say, but more people will understand how things work, which is important. Our StrongStarts4All plan recognizes the harsh role that childhood trauma plays in stunting growth and limiting lifetime opportunities. We call for scaling the successful home visit model and providing more youth mental health support because we know both steps are necessary. 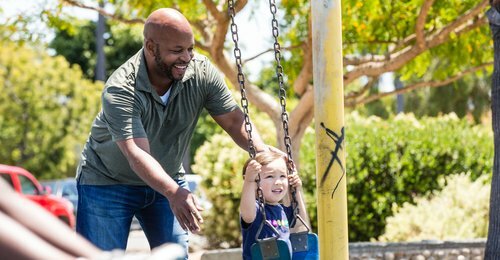 The ACE study introduced ground-breaking research across all races and economic classes that revealed the significant impact of childhood trauma in the long-term. These negative and harmful experiences are much more common than many people realize. Approximately 20% of all adults in one national survey reported being physically abused as children and nearly 33% of all women reported sexual abuse as children. These traumas can have profound, lasting impacts and must be prevented or addressed as early as possible. The Centers for Disease Control and Prevention (CDC) has commissioned rigorous research regarding how to reduce the instances of childhood trauma. Among the two most important steps are to promote positive community norms around parenting programs and to implement evidence-based programs for parents and caregivers. Our StrongStarts4All plan builds on this and similar research in its very first target: increase home visits so expectant parents are better prepared when their children arrive. Having been raised in a foster home with dozens of teenagers who were abused and neglected, I can see that many people never got the nurturing environment that is critical to young children. Equally problematic, given how much we know about the importance of early stage brain development, many expectant parents just don’t have the tools to cultivate that development from birth. Our plan helps fix this issue at the root cause – before the child is born. The County of San Diego currently provides limited support for home visits. However, the need is far greater than the supply and with the federal government’s unwillingness to embrace this evidence-based approach the County must step in to support our children. This is a critical approach focused on long-term solutions for our region rather than quick-fix band-aid approaches that focus on symptoms of a problem. Together, we can help children get the strong start they need to reach their full potential and avoid negative outcomes in the future. There is a 13% return on investment for every public dollar spent at birth and the return diminishes sharply from there. 13% ROI is better than the stock market! Read more about Nobel-prize winning economist James Heckman here. A child’s brain reaches 90% of its adult size by age 5 – underscoring the critical need for early nutrition, social/emotional well-being, and learning. The transition to high school is one of the most perilous for young people. Support is critical. Employers need young people with social/soft skills who understand what work is. Paid work experience, mentorship and guidance are essential and the county has the ability through the workforce system to help. If young people can’t get to school, work, or training opportunities, they won’t go. Access to transportation is essential to changing this. Our plan is centered around three core concepts: prevention, growth, and opportunity. As a region, we must prevent the ills that cause children to struggle and that push them into the foster and justice systems as they age. This means, among other things, home visits to help expectant parents get needed skills, and paying sufficient wages to early childhood education teachers to attract and retain people committed to our children. Second, we must foster growth by equipping young people with opportunities for support in core subjects and the arts so they are positioned to take advantage of opportunities. Finally, we must nurture meaningful opportunity for young people to understand themselves, to gain paid work experience, and to transition into post-secondary choices whether those are apprenticeships, community college or university. Our county is the level of government that can best insulate our region from Washington’s missteps. It is the entity best able to prevent homelessness before it starts and to fight for our young people at a time in their lives when it will do the most good. My campaign is taking on that fight because the future of our region, of our workforce, and true equality in our community depends on it! Several portions of our StrongStarts4All plan focus on the early stages of support because we know that the biggest return on investment comes early. But I serve on the Executive Committee of the San Diego Workforce Partnership, the regional body to help youth and others get connected to employment, and I know that over 43,000 teenagers and young adults are out of school and out of work. Read more about this research here. What we also know about these young people is that without our support many of them will become tomorrow’s homeless. Bringing down the cost of having a home or apartment is critical, but it is not enough. Addressing root causes requires us to better support young people before they slip into homelessness in the first place. Long term, there is no substitute for stronger early development and after school support from an early age. However, because we must not simply forget young adults whose lives are often marred by trauma, time in the foster care system or other challenging circumstances, the above strategies are focused on our talent pipeline at one of the last stages to really help them get on track. This proposal is about a shift in our relationship and our investment as a region in our youth. We are leaving talent on the table and it is hurting San Diego’s social and economic foundation. These changes are about long-term improvements, not short term fixes, and will improve the health of the San Diego region for generations to come. Each year, we take a moment on November 11th to honor our nation’s veterans and their families. The holiday started as a celebration of the end of World War I and a hope that we would find a way to avoid war moving forward. Although only about 7% of San Diego County’s population are military veterans, we are a community with a very deep tradition of honoring the sacrifice they and their families have made. As a former Certified Nurses Aide in a Veterans Administration Medical Center, I have a very personal appreciation for that sacrifice and this is a day that makes me grateful for what by oldest brother, my brother in law, my uncle and many others have given in service to our country. As someone who did not serve our country in this way, I imagine I am like many in our community who nevertheless very much wants to show respect for the people who did. This is a collection of a wide variety of Veteran-serving organizations throughout the County and provides a great opportunity for anyone looking to honor our veterans by giving of themselves. I will honor our veterans by learning from the members of this organization so that I can help serve them and their families. But these organizations also present great chances for people to give of their time or their financial resources to help. I am grateful for the freedom I enjoy and the opportunity to work hard to ensure that every San Diegan has the same chance. I got home and there was an envelope on the table. I had just decided on the day Trump was sworn in to go ahead and file my papers to be an official candidate for San Diego County Board of Supervisors in 2018. My wife told me something was in the mail but I was focused on work earlier that day so really didn’t pay close attention. The small, white envelope was too short to be something official. I picked it up, opened it, and felt something that took my breath away. Two of my friends became the first contributors to my campaign by writing checks for the maximum amount allowed by law. I was floored. Here’s why. It’s not just that they are friends who were expecting their first child. It’s not just that the donation represents time away from their own families and loved ones. It’s not even that they did so basically immediately after I set up the committee. What really had me both excited and near tears was the tremendous amount of faith they placed in me. It is one thing, I think, to get contributions from people who are involved in politics in some way. Those donors are no less important and worthy of respect, but they are involved in the system in a way that most people are not. This donation was very clearly a statement that the things I stand for matter to them and they are trusting me to do what I say. I was so excited that as I hopped in my ride share I blurted out to the driver that I just had an experience that I would never forget in my life. It’s not often outside of your wedding or graduation or the birth of a child that you can objectively look at a moment and know right then that it will stay with you forever. The reason it was so meaningful for me is that these friends have listened to me talk for years about the importance of creating opportunity for children. We have discussed at length a region that prioritizes addressing homelessness in a massive way above building a football stadium. They were there as I volunteered to mentor four Somali brothers in Bayview Heights, through years of cleaning up our North Park community, pushing for safer bike infrastructure, and volunteering to help homeless women downtown. To me, their decision to donate is a demand that I must honor. It’s a demand that I represent the values they know me to have and that if I am elected I will stand up for those values even if they are at times politically unpopular. My friends want clean air for their child, they want educational opportunities as that child grows up, and for him to be able to afford a home here when those opportunities turn into a career. They want an economy that works for everyone, especially people who aren’t as fortunate as they are. They put their faith in me and I won’t forget it. Author’s note: I started writing about my preparation to run and about the early stages before I was publicly a candidate outside my friendship circles. This series just captures some of the raw thoughts and feelings I had.